To welcome you, we include the below gifts when you simply register with us or purchase with us for the first time! The book "The Clever Gem Buyer"
Written by Gavin Linsell, this book contains everything you need to know about the world of gemstones. 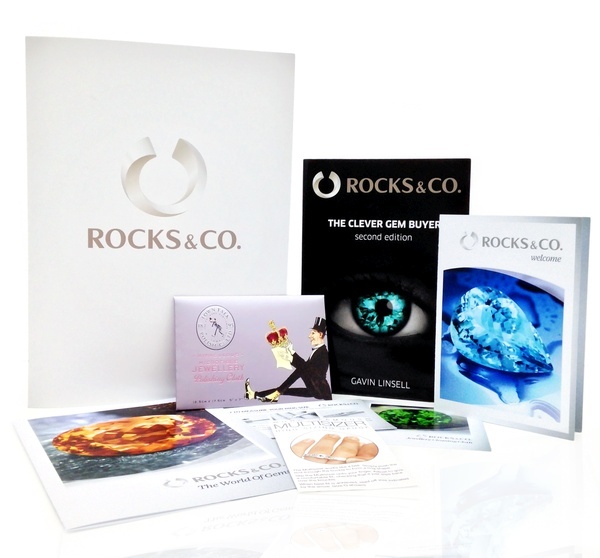 In over 300 pages you will discover colours, effects and cuts of each precious stone and receive advice on how to best wear your gemstone jewellery. This small and convenient tool for determining your ring size is essential for all jewellery lovers. Click here to find out further information on ring sizes. 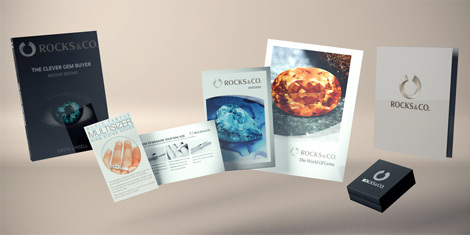 The Rocks & Co. poster gives an overview of our gemstones, including a world map with the countries of origin of our gems and birthstones by month, particularly useful if you are thinking of buying a birthday gift!